By the time you are facing disc surgery procedures it will be clear that every other avenue has been checked and found to be unsuitable. Surgery to the spine is always going to carry a risk and this is why it will never be the first choice to sort out the problem. Depending on whereabouts in the spine the disc is will determine the type of surgery that will be carried out. For this area it is more than likely going to be either microdiscectomy or laminectomy that is carried out. Microdiscectomy is the procedure that involves a part of the disc that is affected by the hernia. It will be this part that is pressing onto the spine and causing the pain. 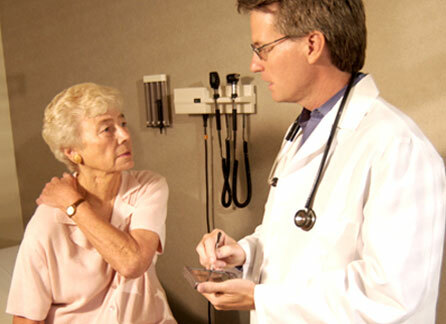 Laminectomy is more concerned with arthritic discs that are pressing onto the nerve. Both of the operations should take in the region of two hours to complete and will be done under a general anaesthetic. The main procedure to try and deal with this problem is the anterior cervical disntomb. The area that will normally have been affected here is the neck and there is the need to totally remove the slipped (herniated) disc. Once this is done it will be amazing how quickly you are aware that there is no longer any pressure on the nerve and the constant nagging pain will be removed. This form of disc surgery procedures is not as simple as it sounds as once the disk is removed there is the need to put something in its place. In this case it will be a bone graft and if there are concerns that the spine is going to need to be stabilised there will be a metal plate inserted as well. The way the cervical spine is reached is through a small cut at the front of the neck. It is good to know that the vertebrae will have fused within a couple of months. As a final treatment if there are still concerns about the stability of the spine, screws will be added but this will only be if there are real concerns about lack of stability. There are a number of things to consider before you go ahead with disc surgery procedures. It will have already been decided that there is no other way to deal with your problem but this does not mean you just get swept away with whatever you are told. Research the surgeon you want to operate on you and also select the best clinic you can find. You may be limited by funds but there will still be a wide choice. Consider how you feel about the people you have been dealing with and do you feel that they have your best interest at heart or are they looking for another customer? If you are paying for your surgery then you have every right to take your time and consider your options.